our spontaneity burst forth yesterday when the intense blue skies and warm air screamed: ocean. we drove to the beach with out preparation. i cannot explain the amount of fun and giggling that was had by us all. 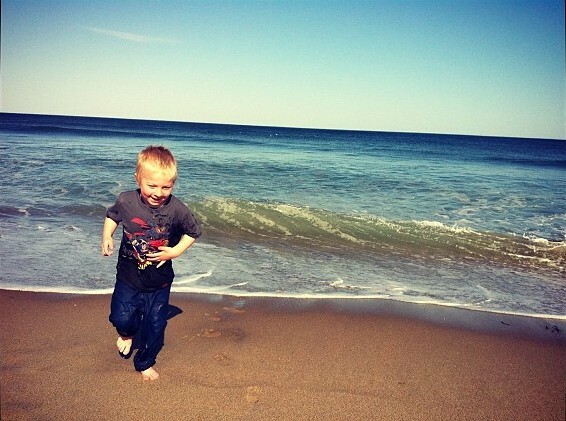 our son did not care that his jeans were soaking wet and hoarding sand. he jumped those waves like they were hurdles. i loved watching my son have the time of his life. i loved that our family had fun together.